Having previous partnership with Asus, now Google is planning to introduce a new title under the title of Google Nexus in partnership with Samsung. According to an industry analyst, the new Google Nexus tablet will have a screen with such resolution which is greater than the Retina which is the Apple’s third generation iPad. Google introduced its first tablet under the title of Nexus 7 and that tablet was made in collaboration with Asus. 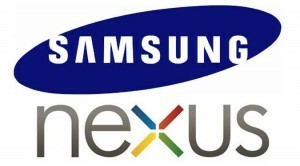 Now the management of Google has decided to introduce new tablet Nexus with the partnership of Samsung. According to Richard Shim who is an analyst at NPD Display Search, this new tablet will be high end device. He also confirmed that this new tablet will be made in partnership with Samsung. Both the companies, Samsung and Google have previously worked together in making Android smart phones. Richard further added that Google’s recent smart phone, Galaxy Nexus, was also made in collaboration with Samsung. Richard Shim also told that this tablet would have 2,560 x 1,600 pixels display resolution. He informed that Apple is also planning to announce a new smaller iPad. This device is expected to have a screen which will be of around 7 inches wide. If this news is right, then we can say that two Giants are jointly making a device that will compete Apple’s full size iPad. On the other hand, Microsoft is also jointly planning to launch Windows 8 tablets in the next few weeks with partnership with Amazon’s Kindle fire. After this the partnership among the tablet markets will be of strong interesting nature.